This book offers you an opportunity to internalize and directly experience the great wisdom of the Tao Te Ching, a collection of verses authored by the Chinese prophet Lao-Tzu. The words Tao Te Ching translate as 'living and applying the Great Way.' Although just 81 short verses, the Tao encourages you to change your life by literally changing the way you think. 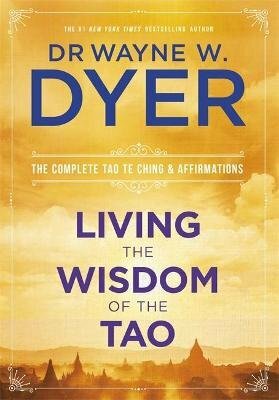 Wayne Dyer has created modern affirmations based on this powerful ancient wisdom that will allow you to integrate these ideas into your life. The Tao Te Ching offers you divine guidance on virtually every area of human existence. It is a new way of thinking in a world that needs to recapture its ancient teachings. Work with the verses and affirmations regularly and you will come to know the truth behind the ancient Tao observation: when you change the way you look at things, the things you look at change.